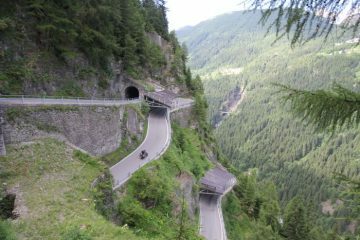 High mountain passes, spectacular coastal roads, twisty single tracks, history, culture and superb food and drink all punctuate motorcycling in Italy. Then there’s the unrivalled magnificence of the Dolomites. Is Italy Europe’s finest motorcycle touring destination? You bet! 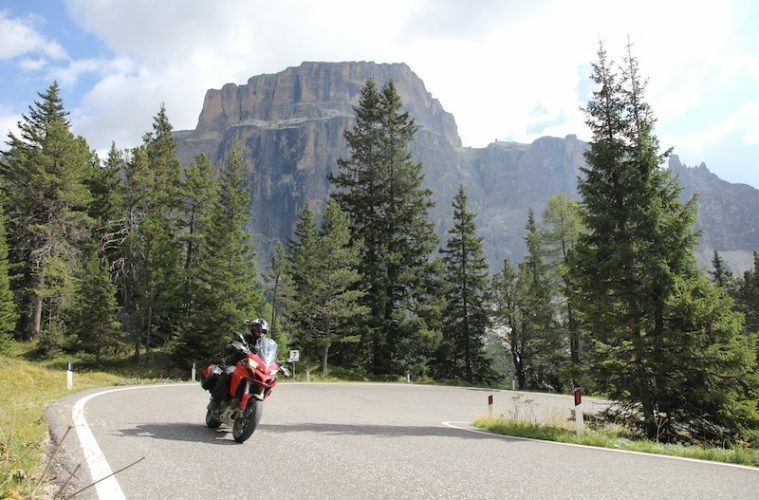 Adventure Bike Rider (ABR) and its sister title Adventure Travel (AT) magazine have a long history when it comes to touring the roads and trails of Italy. Back in the days when I was editor of AT and mountaineering and hiking were as important to me as riding motorcycles, I’d spend whole summers driving and sometimes riding to the more remote and mountainous areas with outdoor gear strapped to the pillion looking for interesting lumps of rock to climb and trails to hike. I’d spend my evenings writing up reports and emailing them back to the office. Then, once every six weeks, I’d park the van or bike at an Italian airport, fly back to the UK and add the finishing touches to the magazine before sending it to print. And then I’d fly back and do it all again. 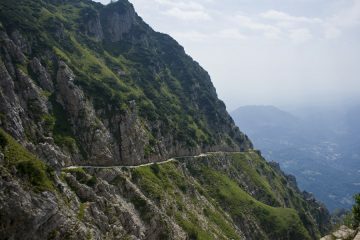 I followed this way of life for three consecutive summers which resulted in outdoor guides, regional hiking guides and the first ever documented report of all the via ferrata climbing routes in the Dolomites. To say I was in awe of the country would be an understatement and I would have happily moved to and settled in Italy for the rest of my life. 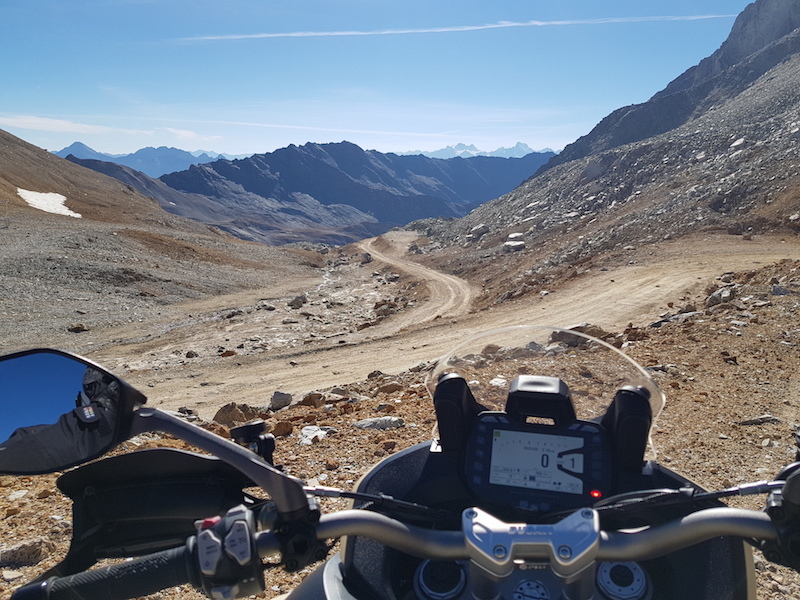 Since the launch of ABR magazine and an accident which curbed my climbing career, I’ve been back motorcycling in Italy as much as possible to enjoy the spectacular roads, trails, scenery, history and culture by motorcycle. 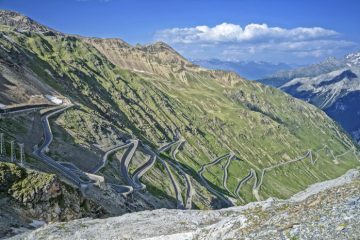 These more recent trips, added to my prior knowledge, have helped shape this touring guide to bring you the best of what we at ABR consider Italy has to offer. 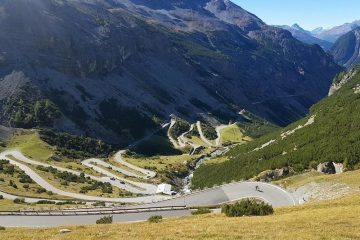 There’s not enough space in this guide to detail everything I’d have liked to, but what we have done is divided the country into six areas which could be toured independently or combined into a longer trip. 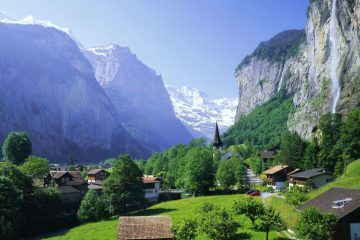 Then, we’ve provided ideas and information and focused on one or two highlights in each region with a view to inspiring you to go and have the motorcycle tour of your life. 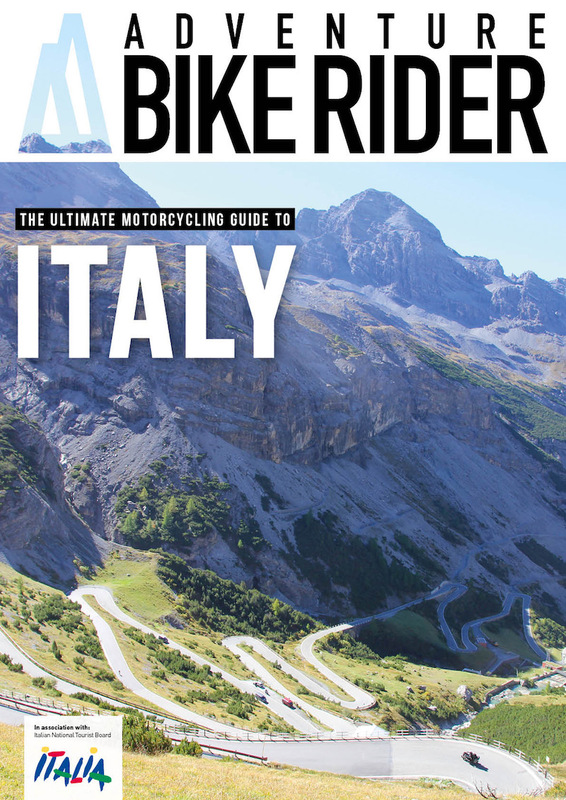 Along with documenting the trip around Italy for the purpose of the 24-page guide (which you can download below), we also created a mini series of videos about motorcycling in Italy, so head on over to our YouTube channel to check them out. Getting your hands on the guide is easy, simply enter your details in the form below and click submit, you’ll then be redirected to the guide, which you’ll be able to download.